When President Nixon began the Drug War in earnest, it was nearly inconceivable to most illicit cannabis users that the world would acknowledge the Devil’s lettuce as an actual medicine. Oh, the hippies knew what cannabis was capable of, but the rest of the world treated “marihuana” like a weapon of mass destruction. 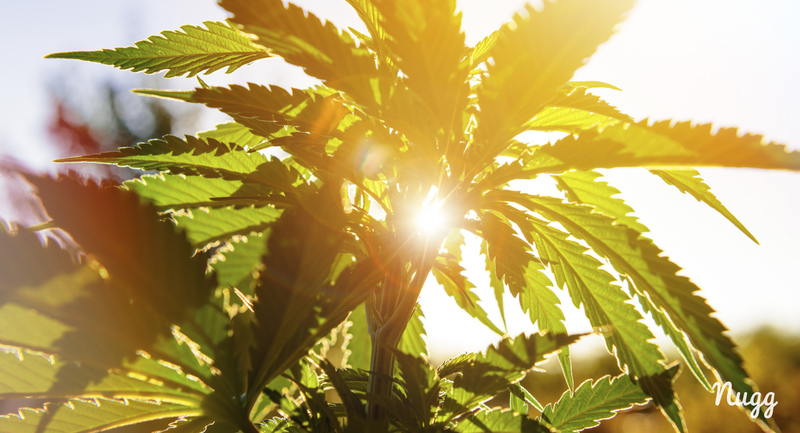 You can still see some of this leftover mentality in the intensely prohibitive regulations that surround the plant – even in legal states. Still, we’ve come a long way since the ’70s, as a recent poll shows an astonishing 94% of Americans approve of medical cannabis. New York is one of the 31 (and counting) states that now allow cannabis use for medical purposes. If you’re thinking about asking your doctor whether cannabis is a good choice for your particular condition, you’ve come to the right place. ­­­In this guide, we’ll cover everything you need to know about becoming a medical cannabis patient in New York. Whether you feel like a deer in headlights when it comes to cannabis options or you’re having trouble digesting the legal jargon – we’re here to ensure you have the best experience possible. As cannabis becomes more widely accepted, we want to make sure you have accurate, reliable information so that you can find the relief you need…and the happiness you deserve. What Consumption Methods Are Available? What Does Cannabis Feel Like? Are You a Candidate for Medical Cannabis in New York? While this is a very straightforward process, there are a few things you will need to consider before you begin the process. You’re required to prove New York state residency to become a cannabis patient here. This requirement is usually satisfied with a driver’s license or a state ID. If you don’t have a state ID, you can show proof of residency through a utility bill or a lease with your name on it. The department may also allow other proof of residency at their discretion. Those who temporarily reside in New York for serious medical treatment can also sign up for the program, so long as they provide documentation of temporary residency. Because the Empire State requires these serious conditions to access medical cannabis, your doctor won’t recommend it for a minor condition. Any doctor who promises to approve, no matter what, is likely not compliant. Some people simply won’t qualify for the program. 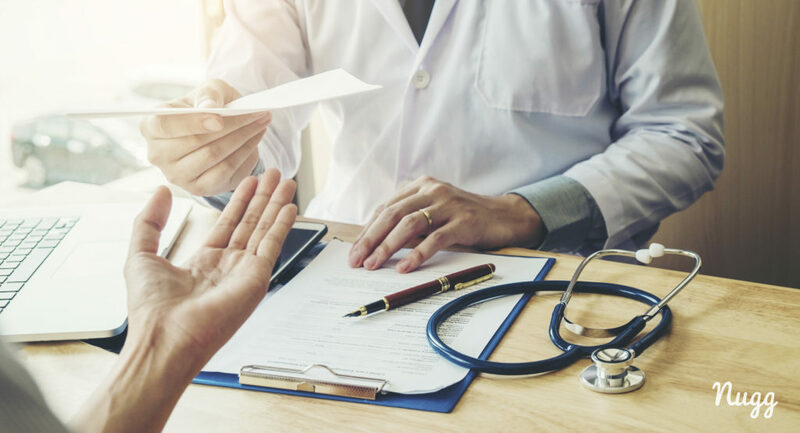 It’s a good idea to have all of those records ready before you talk to the doctor so you can provide any supplemental information he or she needs. Also, plan for the extra time it may take to track down certain records and other info. A legitimate doctor will take every step necessary to ensure you qualify under the law before certification. For New York residents who shudder at the thought of making a special trip or simply don’t have time in their hurried schedule, consultations can be done entirely online. Save the car fare and cook that homemade meal while talking to your cannabis doctor from the privacy and comfort of home. It’s important to know that not every doctor in New York can recommend cannabis as medicine. Doctors are first required to take a 4-hour certification course then register with the program as providers; so don’t be bewildered if your doctor won’t prescribe it. Instead, ask for a referral to a cannabis-friendly doctor who is qualified to help. During the registration process, your doctor will have the option to tell the state their recommended method of administration and THC:CBD ratio. He or she will also have the option to leave this decision up to your dispensary’s pharmacist. 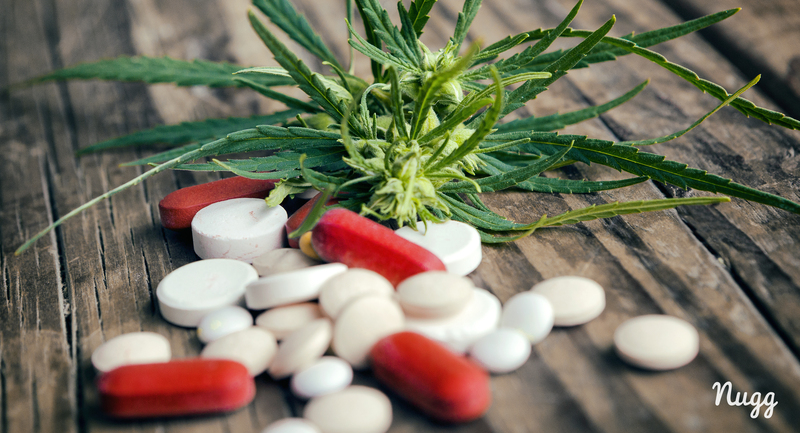 Just discuss these preferences with your doctor during the consultation to make sure you get the proper dosage and cannabis type that meet your needs. 1) Create an account with NuggMD New York. 2) Provide basic info like your name, address and proof of age. 3) Provide your medical history with as much detail about your condition(s) as possible so the doctor will have a chance to evaluate your potential treatment options. 4) Provide your payment information and enter the virtual waiting room. You shouldn’t wait too long since there are several fully-licensed, cannabis-friendly physicians currently working with NuggMD. While you do, chat with one of our knowledgeable cannabis concierges to learn more about medical cannabis in New York. 5) When your new physician becomes available, he or she will finish your evaluation via our telemedicine platform. The video consultation can be as short or long as needed, with some consultations only requiring a few minutes to complete. And remember: don’t be afraid to ask questions. This is an important new step in your journey to wellness, and knowledge is power. What ratio of CBD to THC do I need? What method of application should I try? How will this affect other medicines I am taking? Be sure to tell your doctor about every medicine, vitamin and herb you’re currently or have recently taken so he or she can ascertain any possible interactions. 6) As a NuggMD member, you only pay $149 for the evaluation. 7) Once approved as a cannabis patient in New York, you’ll receive an email with specific instructions to complete your state registration process. If you have any trouble completing this process, just hop on over to our site and our concierge service will happily give you a hand. * On July 12, 2018, the Department of Health announced that they are enhancing the registration process to allow patients to print out 30-day temporary ID cards. This will allow patients to purchase medicine immediately upon completion of registration while they wait for the Department to process their application and mail out an ID card (ID cards must be renewed each year). After you’ve obtained your certification and registered with the state, it’s finally time to purchase your herbal medicine. Click here to see an interactive map of medical cannabis dispensaries in New York. What Cannabis Consumption Methods Can I Use in New York? Let’s explore each of these methods in detail. This allows the active ingredients from your cannabis to directly enter the bloodstream through your lungs. It’s the slowest method of cannabis administration, but also the longest lasting. The effect of edibles tends to be much stronger than inhaled cannabis so proceed cautiously. This is because taking cannabis orally produces different compounds in our bloodstream that affect us differently than inhalation. Basically, our liver converts at least some of the delta-9 THC (the ingredient that makes us high when inhaled) to 11-hydroxy-THC, a much more potent psychedelic. When we inhale cannabis, it bypasses the liver so we don’t get all of that 11-hydroxy-THC. 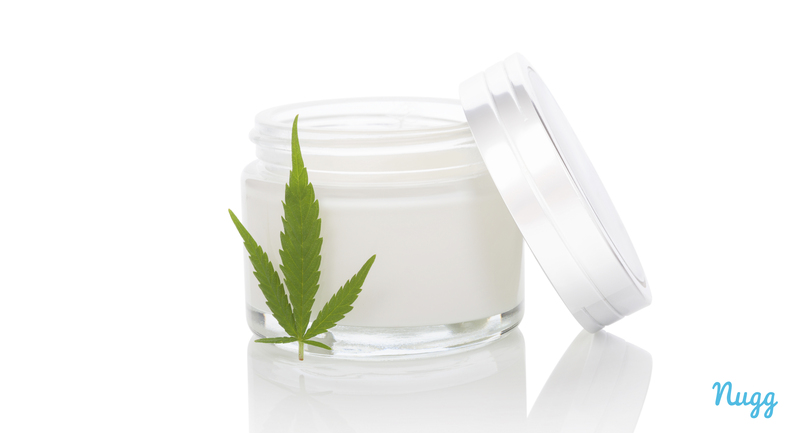 Some new patients prefer topical cannabis applications because they’re (mostly) non-psychoactive. Rather than ingesting cannabis and feeling the potent effects of THC, topicals deliver THC and CBD directly into the affected area. Topicals come in many forms, including lotions, balms, oils, lubricants and transdermal patches. They also come in many different THC:CBD ratios. But since THC isn’t easily absorbed into the skin, high THC topicals might be a little pricey when compared to their effects. Most are high in CBD and combined with other soothing ingredients like capsaicin, mint or other essential oils for added benefit. A more recent trend in topical application is the transdermal patch. It utilizes the same type of agents that help the nicotine patch deliver compounds through the skin. These transdermal patches can make you high if they contain enough THC, so be careful when choosing the right topical. All of these methods of delivering cannabis into the system provide a unique opportunity to help alleviate symptoms. Your physician might even recommend a combo of up to three different methods to get the maximum benefits. 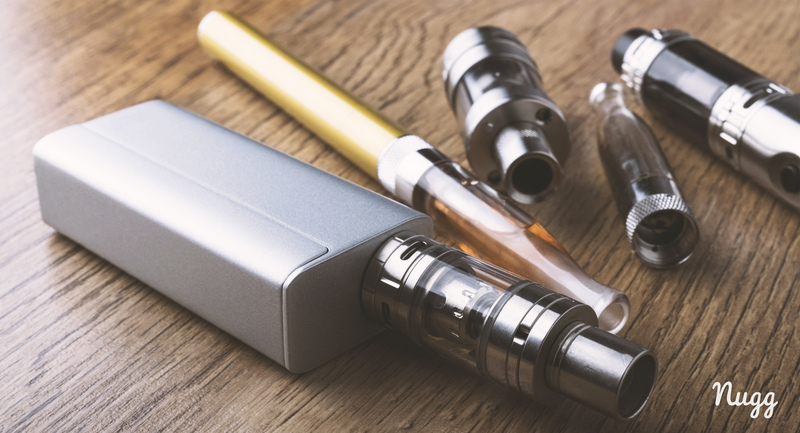 For instance, the doctor might recommend a vape pen for immediate pain, then an oral dose since the vape pen’s effects tend to wear off sooner. With careful timing and dosing, it’s possible to get relief without the associated peaks and lows that come with other medicines. Whichever methods your doctor recommends, be sure to follow dosing instructions to the letter. Taking your medicines in the wrong order or doubling up on doses could give you anxiety or couch-lock instead of relief. Unlike many medical cannabis states, the range of legally available products in New York is very restricted. The state regulates the amount of THC in a product, the way it can be administered, and the amount that can be dispensed in a 30-day period. The NY Compassionate Care Act forbids smokable cannabis and edibles. So the only fast-acting inhaled form of cannabis allowed is vaporization. Gummy bears or brownies are definitely out. Each registered cannabis organization is also required to have at least one brand of cannabis with low THC/high CBD and one with equal THC/CBD. Aside from that, they’re allowed to produce their own brands with their own proprietary ratios of THC and CBD, so long as they get department approval first. We’ll go over a comprehensive list of the products available so far, a little later in this guide. For now, let’s go over the basics. Each of these formulations and administration types are designed to target certain symptoms and conditions. Your doctor or pharmacist may have an in-depth discussion with you about these. In the meantime, here’s a basic breakdown of each product type, what conditions they’re most commonly used for, and how they’re used. Relatively new compared to the old joint, vaporizer pens are metered oil preparations heated into vapor then inhaled. They first started popping up in the early 2000s and have caught on quickly due to their convenience and discretion. 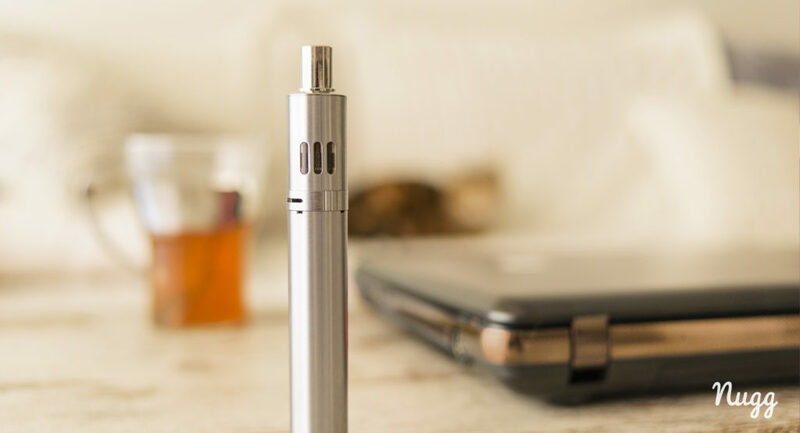 Vape pens are usually heated with a small cylindrical battery the size of a cigarette, although there are other battery types on the market. You can purchase vapor oil in bulk to fill cartridges, or in disposable cartridges. When the cartridge is attached to the battery and activated, the solution heats up to about 390°F. This is actually below the combustion level so the active ingredients are inhaled without the smoke and tar you’d get with a joint or a bong. A cannabis tincture is a liquid solution held under the tongue for fast absorption through the network of blood vessels there and in your gums. They might also be called cannabis oral solutions, but the action is basically the same. Sometimes patients assume a tincture doesn’t work because they don’t take enough with the first dose and don’t feel the effects fast enough. This leads to discomfort once they get a surprise dose of highly psychoactive 11-hydroxy-THC, which grows more uncomfortable if they took another sublingual dose. Use extreme caution with this potent method and don’t take another dose ’till it’s time. Like vaping, tinctures come in low to high CBD to THC ratios designed to treat different conditions. Cannabis oral sprays work like tinctures, though make microdosing much easier. You’ll know exactly how much cannabis you absorb per spray, controlling your dose. This factor makes oral sprays ideal for first-time users who need THC, but want to start light. Ads for oral sprays often refer to the fact that they mimic smoking. This doesn’t mean you should inhale like you do joints or vaporizers. You’re supposed to spray it on the mucous membranes inside your mouth and hold it for 30 seconds to a minute without swallowing. While you’ll feel the effects faster if administered properly, swallowing immediately still produces the same effects as other oral doses. Ask your pharmacist exactly how much THC is delivered with each spray. This is a more comfortable way to take cannabis for those who have never taken anything other than pills. Cannabis capsules come in a very wide variety of dosing options and a wide range of THC:CBD ratios. If you have any allergies such as gluten or wheat, let your pharmacist know as inactive ingredients may contain something that will irritate your allergies. Capsules come in very precise doses so you’ll have little risk of accidentally taking too much as long as you follow the doctor’s instructions. Tablets affect you in roughly the same way as capsules, but unlike capsules, you can break them down into smaller doses. This is a new product that recently became available and comes recommended for those who lack the motor control necessary for more intricate dosing methods. Surely you’ve heard stories about uncontrollable giggles, paranoia, and the unrelenting craving for a hot fudge sundae. But what does being on cannabis really feel like? When you feel cannabis’ psychoactive effects you might mildly hallucinate, although strong hallucinations aren’t common. Colors might seem brighter or faces might appear weird, yet a more noticeable change is your state of mind. People tend to experience their surrounding environment in a more enhanced way. It’s also common to become very introspective or want to spend time creating art or music. It’s a good idea to do something enjoyable while taking cannabis and surround yourself with friends and family – especially when getting used to your regimen. Also, be prepared with munchies and plenty of refreshing, non-alcoholic beverages as hunger and thirst are nearly universal symptoms of being “high.” This is why cannabis is used so often to treat anorexia. One effect of cannabis new users need to watch carefully for is anxiety. This can happen if you take too much THC for your tolerance level. Everyone is different, and what might be the perfect dose for your friend can be too much for you. Some people find that they become slightly paranoid and experience palpitations and panic instead of calm and euphoria. If this is you, remember to stay calm; no one has ever overdosed on cannabis. Call your doctor as soon as you can so he or she can adjust your dosage, method of administration and THC:CBD ratio. Meanwhile, first things first: eat something and drink plenty of fluids. Eating helps to slow down THC absorption rates in your digestive tract (if you took an edible form) and tends to curb the effects of the high. Drinking fluids will help to flush the extra THC from your system as well. Prodromal: Can last for months to years and consists of feeling abdominal pain and nausea. Often, the patient increases their cannabis use to provide temporary relief from the symptoms. Hyperemetic: At this point, patients begin vomiting profusely. They’ll also decrease their food intake and can become dehydrated in severe cases. Many find that the only relief is from the nausea is a hot shower. This is when the patient usually begins to seek help. Recovery: Typically won’t start until the cannabis intake stops. Once it does, most patients begin to experience relief within days, but it could take months. If they use cannabis again, symptoms will likely return. No one knows why some develop this condition after using cannabis for years, and some don’t. It’s also confusing to hear that cannabis can actually cause nausea and vomiting after heavy use as it’s usually used to treat nausea and vomiting. As cannabis potency strengthens and legalization reduces conversational barriers between patients and physicians, it’s becoming more common for people to seek treatment for CHS. While this condition is very rare, it’s important to make sure new users understand that there are risks associated with heavy cannabis intake. Discuss these risks with your doctor and ensure that you follow up if you experience any unexpected nausea or vomiting. Sometimes it takes a little while to find the perfect dose. Often, a patient can become impatient with microdosing, especially if their doctor starts them on doses as low as 5mg. Lots of new patients find that tracking their symptoms helps monitor and find this perfect balance. Try saving your reactions to your doctor’s recommended administration methods and formulations in a journal or chart. None of the information in this section or article constitutes legal advice. We’ve provided the non-comprehensive list of potential violations below so you understand it’s still possible to get into legal trouble for cannabis possession, even with a valid medical marijuana card. You should not consider this the full summary of all regulations that apply to you as a patient. Always seek the advice of an attorney for legal questions about your medical cannabis use and possession. There are still tens of thousands of cannabis-related arrests in New York every year. Don’t put yourself in the position to be one of them. New York has decriminalized possession of small amounts of cannabis – 25 grams or less. However, you must keep your medical cannabis out of plain sight, not consume it in public, and definitely not possess more than the legal limit. Even if you’re a registered MMJ patient, keep your cannabis out of sight or face possible criminal penalties. Having any amount in public view, smoking or otherwise consuming in public could result in a misdemeanor and 90 days in jail. This includes using your legally authorized vape pen. And remember, vaping is the only legally approved way of inhaling cannabis. Keep in mind that your medical cannabis recommendation is for your use only – sharing your medical cannabis with others can also get you in trouble. The first couple of times you’re caught publicly possessing small amounts of unauthorized cannabis, you’ll be subject to a $100 or $200 fine (similar to a traffic ticket). If you’re caught more than twice, you could incur criminal penalties and even time in jail. Possessing less than a quarter ounce of concentrates without state authorization is a misdemeanor that carries up to a year in jail. Possession of more than a quarter ounce of concentrates is a felony that results in a minimum seven years in prison. Private New York cultivation remains illegal and will result in a misdemeanor and one year in jail. Possession charges for the amount grown can also result in a potential felony with several years in jail. As you can see, non-medical cannabis is anything but legal in New York, and there are still plenty of ways to get into trouble with authorized cannabis. This makes it all the more important to obtain and maintain your status as registered cannabis patient. There are far more protections for legal patients than for recreational users. How much does cannabis cost in New York? Believe it or not, the Health Commissioner has the final say over New York cannabis prices. Dispensaries submit the cost of growing and manufacturing cannabis products and their proposed prices. Then the commissioner decides if it’s reasonable and approves or denies the cost. Can I get a card if I’m not a New York resident? Your doctor can register you as a temporary resident if you’re staying in NY for treatment. Your certification will only be valid for the length of your stay, and you’ll be required to provide proof of temporary residency. What if I don’t have a New York state ID? If I become a registered patient, will that excuse me from drug testing at work? No. The state doesn’t provide protections for employees who use medical cannabis. If you’re concerned that your job doesn’t allow cannabis use outside of work, consider the potential consequences before making a final decision. 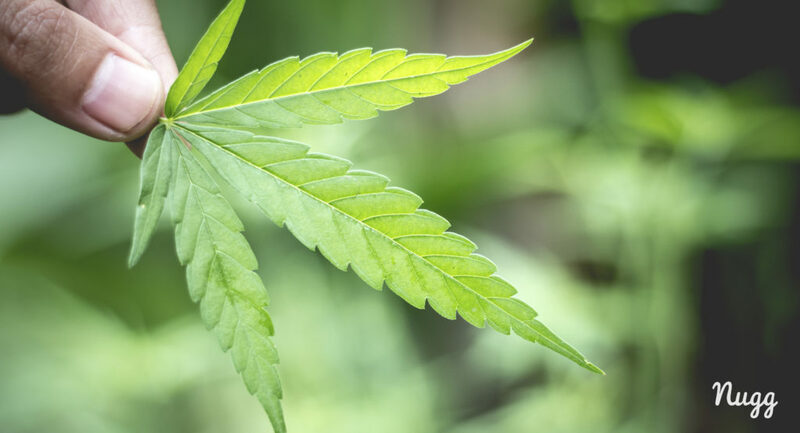 Can cannabis use affect parental rights? Yes; there are no protections in New York for parents who are cannabis patients. The state does have a process, however, for parents to administer cannabis to their sick children in need. Are patients allowed to re-register before their old card expires? Yes. In fact, you’re expected to schedule your re-approval before your current registration expires. Our cannabis concierge team answers more than 300 questions each day through a live chat. Although these cannabis experts bend over backwards to solve any problem you have, even we admit there are some problems we can’t solve. The New York laws just aren’t perfect – yet. The list below contains contacts and links for some of the more active cannabis advocacy organizations in the state. If you know of any other organizations we could add to this list, we’d love to hear from you. The way we see it, the legalization fight is an ongoing battle that can only be won when no one has to worry about jail time for using this healing herb again and every prisoner of the cannabis drug war is free. Please join us and the vast number of Americans who are now the marijuana majority in advocating for full legalization and an end to the war on drugs. We hope you now feel empowered to help make a change but, above all, you help change your own life with the medicine necessary to achieve the quality of life you deserve. High THC / Low CBD: This traditional formulation is commonly used to treat symptoms including severe pain, nausea, vomiting, appetite stimulation, and difficulty sleeping. Equal THC / CBD: This balanced formulation is commonly used to treat symptoms including moderate pain, neuropathic pain, nausea, vomiting, appetite stimulation, inflammation, anxiety, and muscle spasms. Low THC / High CBD: This specialty formulation is commonly used to treat symptoms including neuropathic pain, inflammation, anxiety, seizures/epilepsy, and muscle spasms. You can find out more about Columbia Care’s line of products here. Wellness: A pure CBD ratio that optimizes health benefits and provides body relaxation with minimal cognitive side effects. Recommended for: patients with epilepsy, Parkinson’s disease and Huntington’s disease. Harmony: A perfect balance of THC and CBD that promotes well-being with subtle euphoric effects and mild cognitive side effects. Recommended for: patients with neuropathies, multiple sclerosis, cancer, IBS and chronic pain conditions. Awake: A 20:1 THC to CBD ratio appropriate for daytime treatment that provides a euphoric, uplifting effect with moderate cognitive side effects. Recommended for: Treatment of moderate to severe pain, multiple sclerosis, ALS, HIV/AIDS and IBS. Calm: A 50:1 THC to CBD ratio with subtle euphoric effects and notable cognitive side effects to help manage more severe symptoms. Recommended for: more severe symptoms associated with multiple sclerosis, ALS, HIV/AIDS, cancer and other chronic pain conditions. Sleep: A 100:1 THC to CBD ratio that provides a relaxing and sedative effect with higher cognitive side effects and better suited for nighttime use. Recommended for: Treatment of pain conditions and patients with multiple sclerosis, ALS, HIV/AIDS and cancer. 2.) Drops for oral administration. Find out more about MedMen and their product offerings here. Dolce: A high-CBD medical marijuana product. Dolce is formulated to provide a subtle euphoric effect in patients while concentrating on the calming effects of CBD. Dolce is formulated primarily from CBD with trace amounts of THC, and is intended for use by patients suffering from symptoms related to epilepsy, Huntington’s disease, or Parkinson’s disease. Mezzo: A 2 CBD to 1 THC medical marijuana product. It’s formulated to lessen THC’s euphoric effects with CBD’s calming effects. Mezzo is intended for patients suffering from symptoms related to multiple sclerosis (MS), cancer, irritable bowel syndrome (IBS), neuropathies, spinal cord damage, epilepsy, Huntington’s disease, or Parkinson’s disease. Balance: An equal THC:CBD product. Balance provides a moderate euphoric effect accompanied by the calming effects of CBD. Balance is intended for patients suffering from symptoms related to Multiple Sclerosis, Cancer, Irritable Bowel Syndrome (IBS), Neuropathies, Spinal Cord Damage, Epilepsy, Huntington’s Disease, or Parkinson’s Disease. Forte: This high-THC product provides a strong euphoric effect in patients. Forte is formulated primarily from THC with trace amounts of CBD and is intended for patients suffering from symptoms related to ALS, HIV/AIDS, Parkinson’s, neuropathies, spinal cord damage, and cancer. Recommended for those with experience taking cannabis. Discover more about Etain’s line of cannabis products here. Vireo’s products come in five different general formulations of THC to CBD, with slightly different precise ratios for each administration method. Blue: Vireo Blue products are predominantly CBD, with a small component of THC. Green: Vireo Green products are balanced, with equal amounts of THC and CBD. Indigo: Vireo Indigo products are predominantly CBD, with a small component of THC. Red: Vireo Red products are predominantly THC, with a small component of CBD. Vireo Yellow products are predominantly THC, with a small component of CBD. Vireo Red products are predominantly THC, with a small component of CBD. Special discounts are offered to patients that require financial assistance. Listed prices are prior to any discount and subject to change. You can learn more about Vireo’s line of products here. 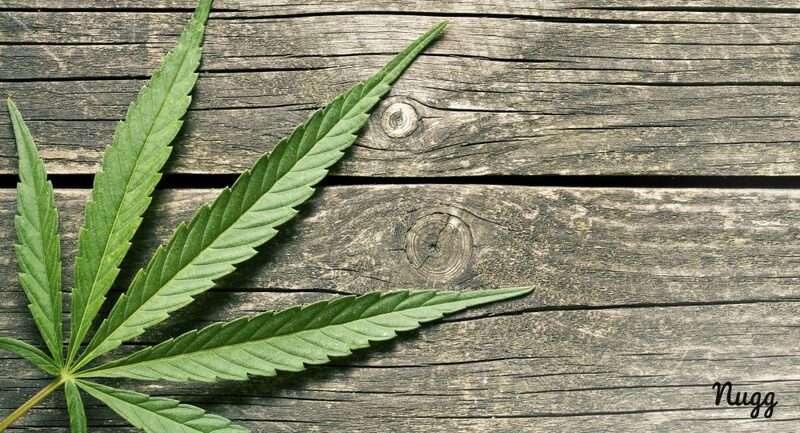 You can find out more about Curaleaf’s line of cannabis products here. You can view The Botanist’s full line of products here. You can view the full line of PharmaCannis’s products here.